A bunion is defined as a bony deformation that can occur in the joint at the base of the big toe. It is also known as ‘hallux valgus’. One of the most obvious signs of having a bunion is that the toe will be pointing towards the other toes on the same foot. It actually forces the bone on the foot (the first metatarsal) to be sticking outwards. Here you will read a detailed guide about the best bunion correctors and how these nonsurgical tools can help you to remove pain and treat bunion so it never happens in the future as well. There is always the possibility that these symptoms may worsen if the bunion is left untreated. So, it is strongly recommended to see a general practitioner who can help and guide you if you have any of the above symptoms or you can use the best bunion correctors. They will probably discuss the symptoms and examine the foot. They might even ask for an X-ray to be done in order to assess the severity of the bunion. Bunions are more common in women as compared to men, but anyone is likely to develop a bunion since it is usually due to the style of footwear worn. The reasons why people develop bunions is not known exactly. But bunions are a deformation that tends to run in the family. When a person wears shoes that are not of a good fit, it ends up making the bunions even worse. Moreover, it is also thought that bunions are most likely to occur in people whose joints are more flexible than usual. That also might be why children are quite prone to having bunion deformities. There are quite a few treatment options for bunions. The non-surgical treatments are obviously tried first. They include orthotics (insoles), bunion pads along with painkillers for pain relief from the discomfort that is associated with the bunions. While these methods can help in the relief of the symptoms of bunions such as pain, they cannot improve the appearance of the foot itself. Surgical intervention, on the other hand, is considered when the symptoms are severe and do not respond to the non-surgical treatments mentioned above. The surgery done depends upon the level of deformity, the severity of the symptoms, the age factor or any other associated medical conditions. Bunions are permanent unless they are surgically corrected. 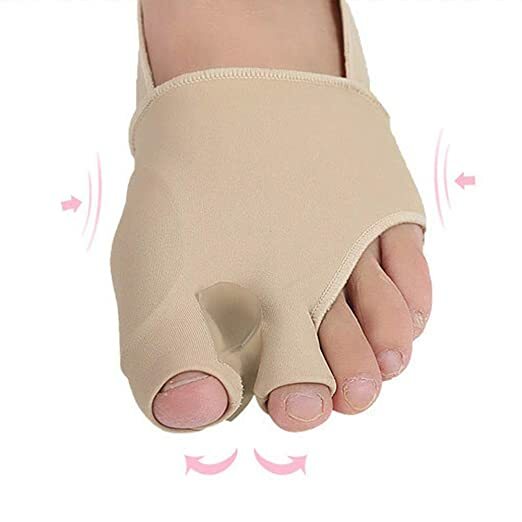 There are, however, certain measures that can be taken so that you can be more comfortable or at the very least, slow down the growth of the bunions. For many people, just changing shoes or wearing shoes with the proper fitting would really help. The best way to ensure a good fit is to choose low-heeled and comfortable shoes that have enough space for toes and the widest part of the feet. Many people choose to treat their bunions by stretching their feet. This helps in realigning their toes. Some people use devices for this purpose, such as bunion splints or toe spacers. These are also collectively known as bunion correctors. The main symptom of bunion involves the pressure from the shoes against the bunion region. This leads to pain at the region where the bunion forms, as well as redness, blistering, swelling, etc. So placing a barrier between the skin and bunion can really help alleviate the pain and irritation. 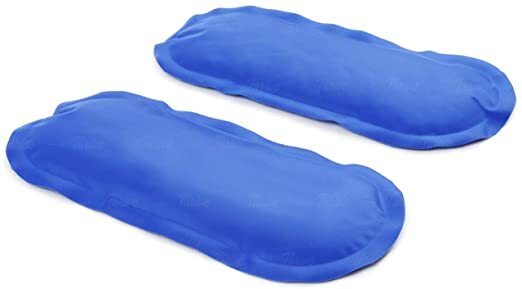 This barrier pad is known as the bunion pad. Bunion pads are made with moleskin or simple felt and are placed directly on the bunion region. Gel pads are also available which are a more durable option and can be reused as well. The bunion pads can be used for all size of bunions and are more effective for the moderate to mild bunions. 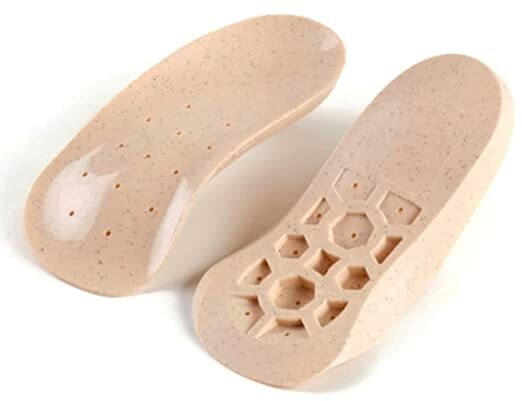 Orthotics can be placed inside the shoes you wear, which will help in the realignment of the bones in your feet. They may also help to relieve the pressure on your bunion and can eventually ease the pain as well. There is little evidence to prove that Orthotics can actually be effective in the long run. It is important that Orthotics fit your feet correctly so it is best to take medical advice from your doctor or podiatrist (a specialist in the treatment and diagnosis of foot conditions). They can suggest which Orthotic is best for you. Orthotics can be purchased over-the-counter from various pharmacies. They can also be custom made by a podiatrist to provide the best fit for your foot. Whether you require one that is specially made for your feet or whether you should buy an over-the-counter Orthotic will depend upon your circumstances as well as on the severity of your bunion. If your toe joint is swollen or painful, then apply an ice pack to the area which is affected at least several times a day. It can really help in providing pain relief as well as in reducing the inflammation. Keep in mind though, that you must never apply the ice pack directly onto your skin. The best method is to wrap a tea towel or cloth around it. In case you are unable to arrange for an ice pack, it is a good idea to use ready-made bags of frozen vegetables (available from any grocery or superstore) as a substitute for an ice pack. By placing a silicone pad between the big toe and second toe, you can reduce the pain in the bunion. That pain usually results from pressure built up against the second toe. The silicone ends up pushing the big toe in a better and normal alignment. Gel spacers are quite durable and have a loop which helps in securing the spacer towards either the big toe or the second one. Toe spacers are ideal when the big toe is only slightly deviated or in the early stages of the bunion formation – before the big toe’s altered structure becomes permanent or fixed in a certain position. Arch supports have been used quite often when it comes to correcting bunions. Bunions are usually associated with either the instability of the foot’s arch or with flat feet. As such, when structural support is provided the bones are kept in a better alignment. This helps in limiting the bunion growth. There are many over-the-counter arches supports available. They can prove to be a good first option to try as a non-surgical treatment. Your doctor can also give you customized prescriptions for arch supports that will help mold the feet to a proper shape as well as offer superior support. A bunion splint is quite a common device worn typically at nighttime while sleeping. It physically pushes the big toe back into normal alignment. There are quite a few variations available when it comes to bunion splints. Some are more rigid while others are available in a wide variety of designs. Some bunion splints incorporate a design that pushes the big toe over. Other splints may be designed to pull the big toe to its correct alignment. The most important factor is to find a bunion splint which is comfortable to wear on your feet since you will have to wear it for several hours when you sleep. The bunion splints, however, do not just simply work overnight and are considered to be a long-term solution to manage your bunion. They cannot reverse the bunion, but they do help in curtailing the progress of the bunion. Bunion splints do help in relieving the pain instantly and coping with the condition itself. 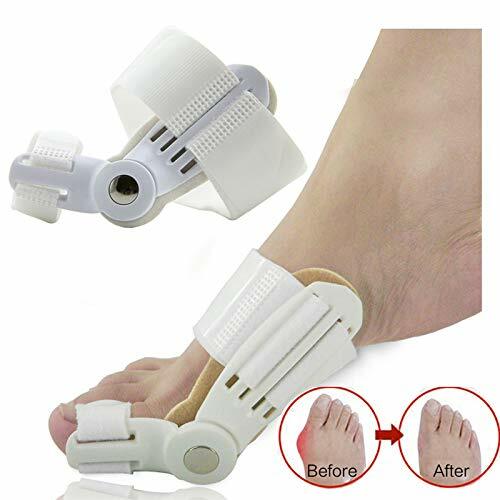 The splints may also cure the bunion completely in time. There are various advantages of using bunion splints. They are reasonably priced and are very simple to use. They are also durable enough to last for years. In addition to being washable, some of the bunion splints are also coated with an anti-bacterial finish. This helps in preventing odors as well as infections. Ice the bunion with an ice pack before and after you use any of the best bunion correctors or splint. This will help in reducing the inflammation and swelling at the bunion site. Main medication or cortisone shots may help. This must be discussed with your doctor. Wearing shoe inserts will help in distributing the pressure on your toes evenly while you walk. It will also help to take away the pressure from the bunion, thus providing some relief from the pain. Wear the splints in short bursts initially, especially when you are lounging around the house. This will eventually help increase the amount of time you are comfortable wearing a splint without experiencing discomfort. Typically, surgery is the only way that a bunion can be corrected. A bunion will only get worse with time if left untreated. It may get bigger in size and become more painful as well. If your bunion is causing severe pain and affecting the quality of your life, your doctor may refer you to be assessed for bunion surgery. The aim of this type of surgery is to improve the alignment of your big toe and of course, to ease the pain. Surgery is not generally carried out for cosmetic reasons alone. Even after the surgical correction, there will be limits as to what kind of shoes you can wear. The surgeon takes x-rays and measurements to classify your bunion by severity – whether it is mild, moderate or severe. They then take into consideration your age, activity levels as well as the strength of your bones and connective tissues. The more severe the bunion, the more risky and complicated the surgery. For the mild deformities, the surgeon usually goes for a bunionectomy, which is shaving off the enlarged portion of the bone. This is followed by realigning of the muscle, tendons, and ligaments. For the moderate bunion deformities, the surgeon may have to cut the bone very close to the metatarsal head so that it can be shifted back into its proper position. For severe deformities, however, the surgeon will have to cut the base of the metatarsal bone itself, rotate the bone and then fix it in place with screws or pins. This cutting and repositioning of the bones are known as Osteotomy.